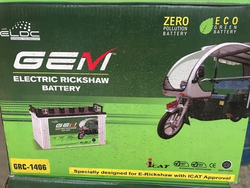 Gupta Battery - Manufacturer of e rickshaw battery, 125ah e rickshaw batteries & trontek tk 12v 95ah e-bike battery in Delhi. By: Ujala Power Systems Pvt. Ltd.